Peggy Penn, respected faculty member and former Director of Training at the Institute, passed away on July 28, 2012. Peggy was an eloquent thinker, writer and teacher, whose contributions to the field of family therapy will long endure as sources of inspiration and great admiration. In celebration of Peggy’s unique approach to therapy, colleague Patricia Booth shares her own memories of Peggy with us. It was my great good fortune to have Peggy as my supervisor the second year of my externship almost 25 years ago. From there she became my mentor, colleague and very dear good friend. I can so clearly envision her back then in her elegant beige pants suit and cream silk blouse, amethyst earrings, wavy blond hair and wide smile. Her roost was a spare, bright office on the 5th floor, with a Noguchi lamp, caramel-colored leather furniture, Miro and Klee posters on the wall. All of it, but mostly Peggy herself, filled with style. 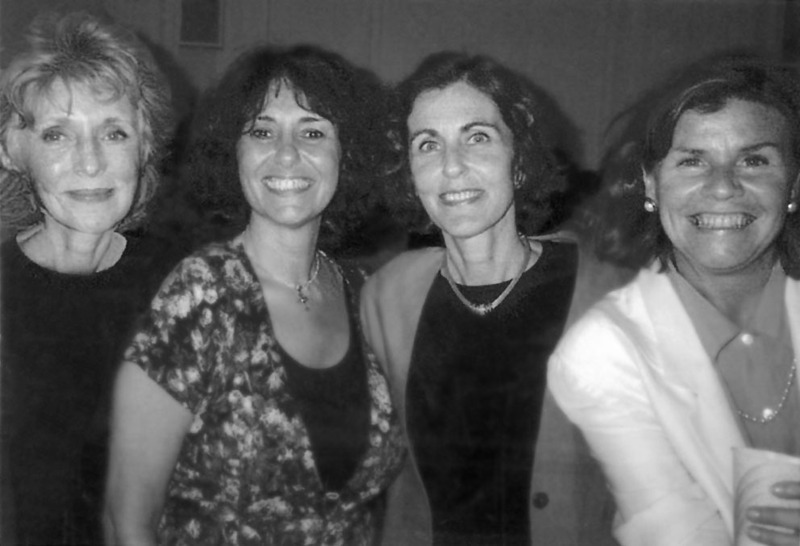 Peggy had already made a name for herself as an innovative Family Therapist, had co-written the book, Milan Systemic Therapy, produced important articles such as “Circular Questioning” and was the director of Training at Ackerman. When we came into her sphere she was beginning to think and work as a Narrative Therapist and it was exciting to be with her as ideas evolved. She was strongly influenced by the work of Michael White and Tom Anderson but was formulating her own ideas about working in a broader, more imaginative way. It is hard to describe how transformative an experience it was for me, and other of her students, to be in her midst and be guided by her unique and highly creative vision. As a teacher, Peggy created a warm, supportive, stimulating environment. She rarely needed to have the last word and was unusually respectful of the ideas of others, even when they challenged her own. There was always humor and a touch of irreverence in our supervisory sessions. In our extern group we were all quite seasoned therapists, grounded in psychoanalytic and systems theory, but Peggy taught us to use ourselves with more verve, breadth and imagination. In essence, she taught us the art of therapy. Patricia Booth, and Sally Witte. Peggy’s approach to working with families was highly collaborative and based on the idea of therapy as a conversation. There was a strong belief in the validity and significance of our clients’ ideas about themselves in tandem with those we generated. Peggy introduced us to the concept of multiple descriptions, helping clients identify and use various parts of themselves. Under her guidance we learned to use metaphor more creatively – especially as we helped our clients develop their own metaphors to describe their conflicts, moods and relationships. Around the time we met, Peggy was becoming intrigued by the idea of using writing as an adjunct to therapy. She was not the first to do so, but was ingenious at helping us find ways of using the writing productively with our clients – often with dramatic results. She believed that writing was the most effective way of releasing withheld emotions and of helping clients expand their range of feeling. Peggy also had a keen ear for the nuance of language and encouraged us to listen with more care to the particular words and expressions our clients used. These beliefs about the power of writing were strongly influenced and substantiated by the extensive research done by James Pennebaker, who concluded that writing was not merely cathartic but was a source of discovery and ultimately change. In the mid-nineties, along with Marilyn Frankfort, Peggy began the Language and Writing Project at the Institute. Its purpose was to continue to explore ideas about careful attention to language and the integration of writing into therapy when it was relevant. Several years later, when Marilyn left the project, Sally Witte, Joan DeGregorio and I joined Peggy and worked together for many years, until several years ago when illness forced her to retire. Over the years, we have followed many families referred through the clinic, with a particular emphasis on chronic illness, trauma and loss. Our premise has been that we have many internal voices, some untapped, and that when one puts pen to paper new voices are released, new information is revealed. Often the writing is introduced when there is an impasse in therapy. The suggestion might be to write a flat-out narrative, but most often the writing is relational and takes the form of letters – letters of gratitude, anger, forgiveness, regret, longing – and sometimes they are letters to be sent and sometimes not. Our clients are always asked to bring what they have written at home to the session, to be read aloud. The reading aloud, with other family members and we, the therapists, present appears to enhance the impact for the client. There is a great sense of being heard, validated and understood by those who witness what has been written. Peggy’s very unique idea was that of the Return Letter Voice, in which a client writes a letter back to himself in the voice of the other, but with the freedom to express much of what one has needed, longed for, but never received. This has opened up great possibilities for redescribing relationships, even with those who have died. Peggy believed strongly in the use of the Reflecting Team and we have always, with very few exceptions, made this a part of our work. This process of exchanging ideas at the end of the session allows our clients to feel that they have been treated by us collaboratively, with added empathy and new ideas. Before becoming a therapist, Peggy was a successful actress. 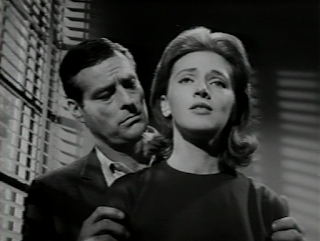 Here she is with Robert Webber in The Defenders. 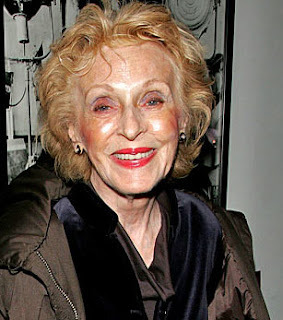 Lastly, Peggy created a rich and rewarding family life, with a long solid marriage to Arthur, her two adored children, Molly and Matt, and four smart and handsome grandsons her beloved “painted warriors.” She was an affectionate and loyal friend who was unafraid to reveal her vulnerability and generously shared her many strengths. She will be deeply missed, loved and well remembered.